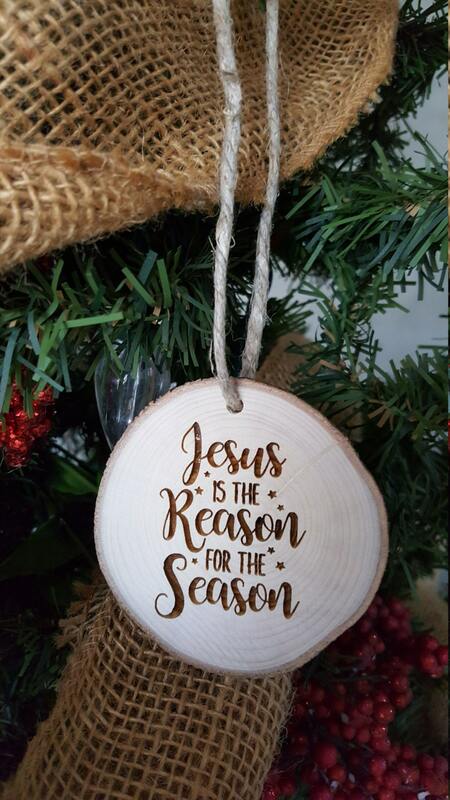 What a unique and beautiful addition to your Christmas tree! 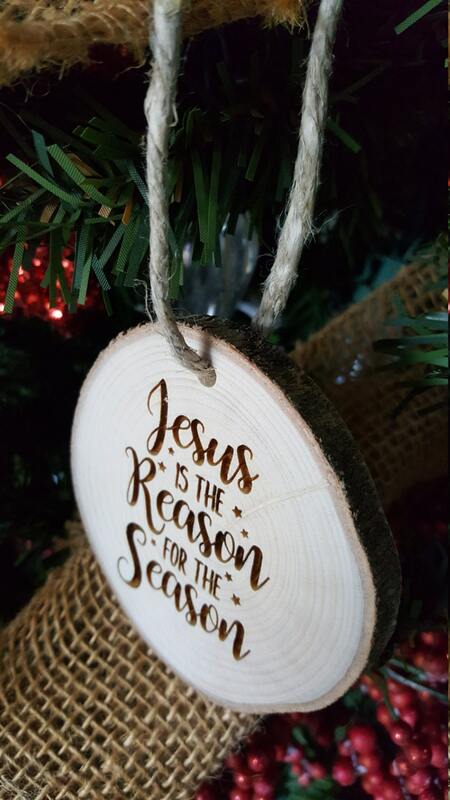 The unique ornaments are created from wood slices that have been engraved with the design shown. The size of each ornament varies from approximately 2.5" to 3.5". The jute twine hanger adds a few inches to the overall height of the piece, but is not included in the measurement given. Please note the slices are cut from wood found locally and left untreated. The species of each ornament may vary from the ones pictures. The bark color and texture may also vary from the listing's pictures. Just as in nature, you may find cracks, variations in the bark and other natural imperfections in each piece. We love this and appreciate the beauty that it adds to the ornament. Thank you for visiting NeedmoreHeart and Merry Christmas! I love it, can’t wait to give it away as a gift. Gave as gifts for teachers and they loved them. Nice quality and quick shipping!